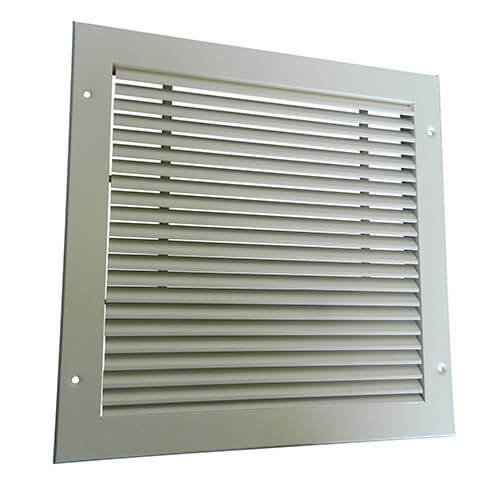 Available with 0°, 15°, 45° blades pitched to give either 50% or 75% free area. 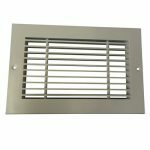 Available with Opposed Blade Dampers, Adjustable Vertical Rear Blades, Plenum Boxes and Plaster Frame. 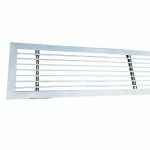 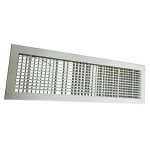 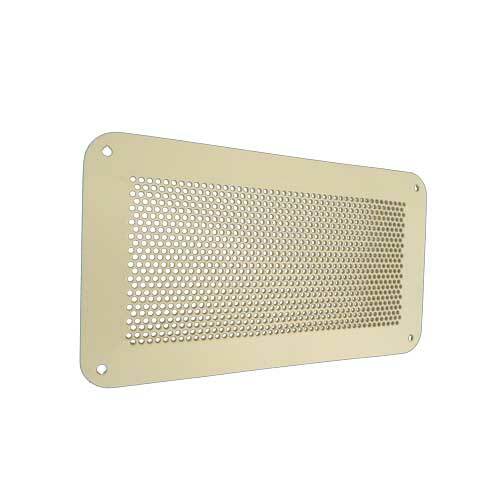 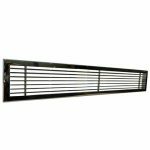 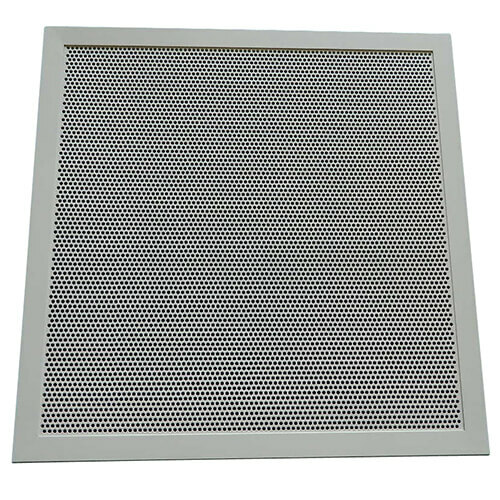 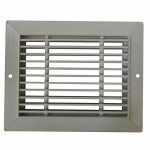 The LBG Linear Bar Grille range of grilles are suitable for a wide range of applications. 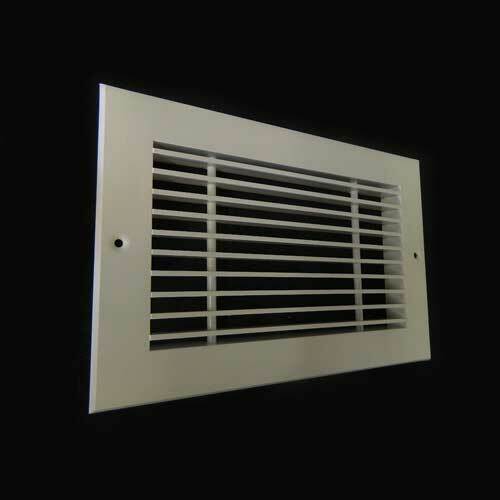 They can be used for installations providing either supply air or extract air solutions. 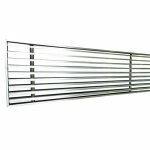 They are typically installed in sidewalls or cills providing both functionality and an aesthetically pleasing result. 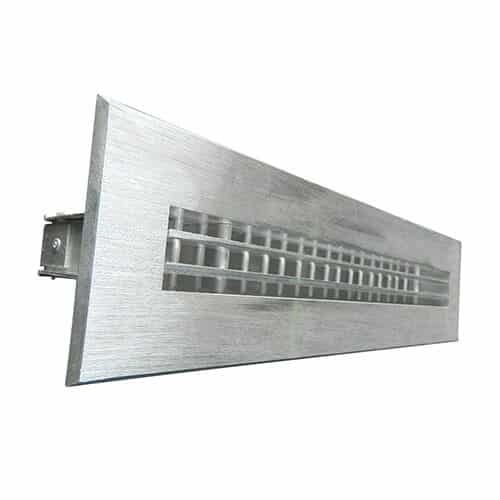 Our range of linear bar grilles are available with a standard 32mm Frame, a narrow 19mm Frame, Joinery Frame or with our Plaster Frame, which allows for more control over the final look of the installation to meet any architectural requirements. 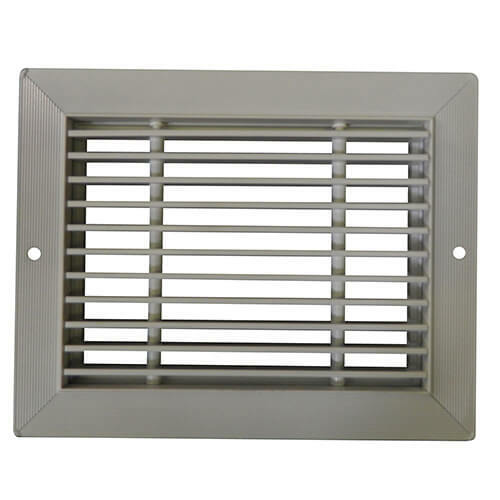 The frame is also available with alignment joints for a continuous appearance. 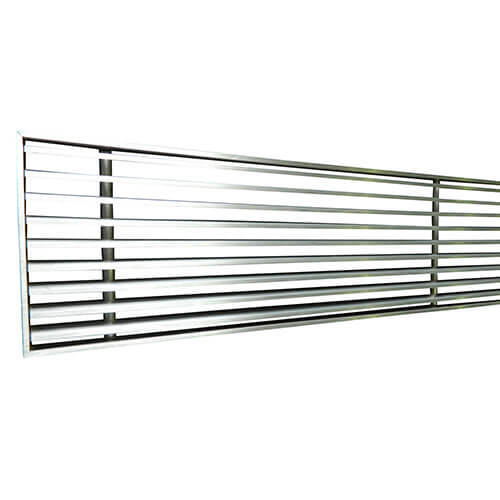 The core of the linear bar grille is available as either a fixed core or as a removable core. 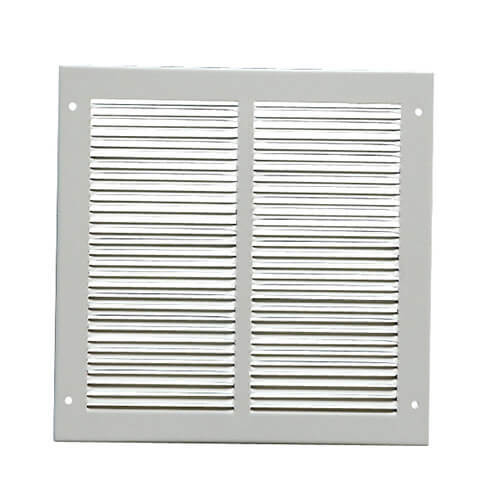 They are available with 0°, 15°, 45° blades pitched to give either 50% or 75% free area. These blades can be ordered as narrow 3.2mm blades or wide 6.1mm blades. 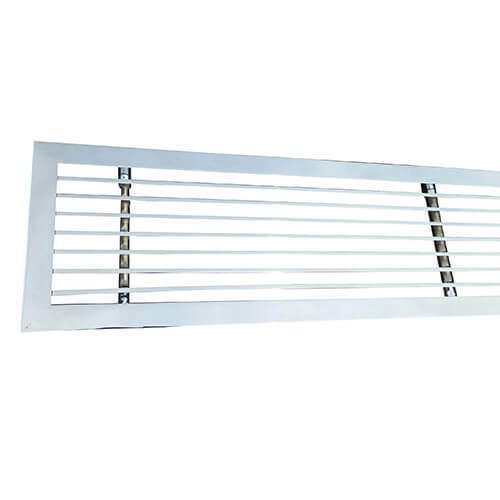 Further options include Opposed Blade Dampers, Adjustable Vertical Rear Blades and Plenum Boxes. 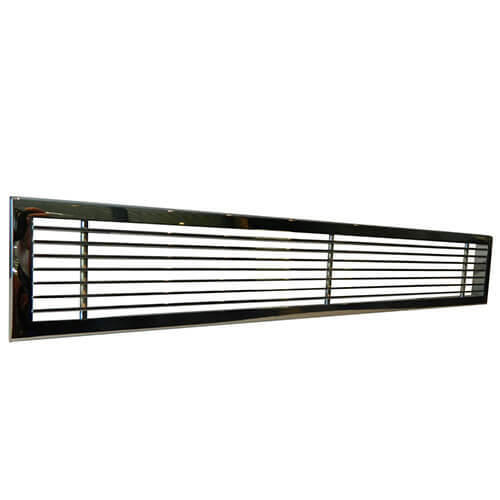 LBG Grilles are manufactured from extruded aluminium sections, the mitred corners being fully welded and linished. 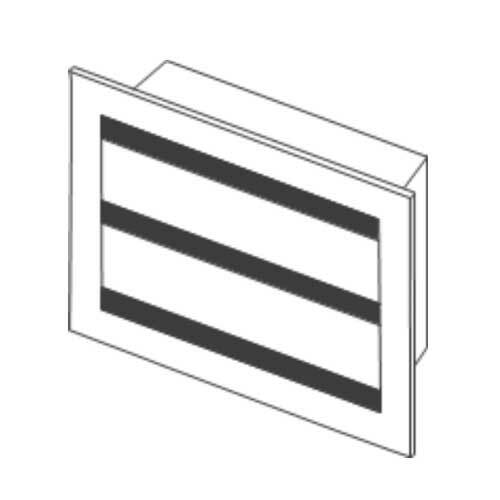 Standard finish is RAL9010 (White). 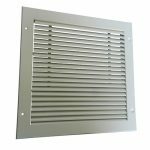 Other finish options include RAL9006 (Silver/Grey), RAL9005 (Black), RAL9003 (White), Mill Finish plus any other RAL or BS code, though additional costs will apply. 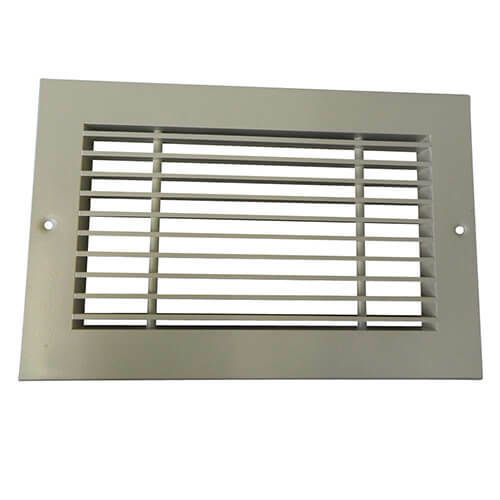 Can also be ordered in Chrome finish or manufactured from various grades of Stainless Steel.